While Paire’s beard might not (yet) have the of girth of, say, Jeff Langum’s, Paire’s attitude shows that he is pure leon. His Instagram is packed with shots of him hanging out with his super-hot girlfriend, making faces at a ram, eating a ton of food almost all of the time, and hanging out with his bearded homies. Seriously though, how does a guy who is six foot five come in at under two hundred pounds when it looks like all he eats is croissants, candy, and prosciutto? So, what does it mean to be the newest face of Beardilizer? It means that while Paire is representing all of us at his matches. He is also demonstrating that all beards deserve respect or they’ll kick your @$$. Paire has a knack for breaking rackets and for speaking his mind. Listen, French men aren’t known for taking things lying down, especially not when it comes to their passions. Paire might be young but he has destroyed all of the obstacles that were in his way, including a career threatening injury that took him two years to recover from. When professionals commit, they commit. When someone is the best, they’re THE best and you know it. Team Beardilizer is made up of a diverse group of people who live and breathe their passions. The bristly faces of Beardilizer are varied but at the end of the day, every single person who represents this company and the great people involved in it have one thing in common: their commitment to all things beard. Creating a community where beardos can get together, do the damn thing and have some friendly competition. Yes, there are some beards that are bigger than others. Yes, there will always be some friendly smack talking but what competitive sport doesn’t talk ish? 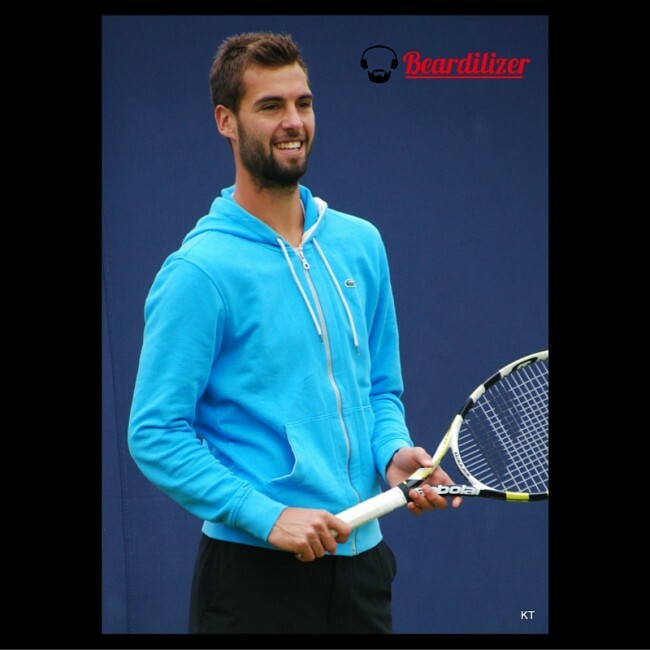 Paire fits in perfectly with the rest of our gorgeous beard team. If you think otherwise then perhaps do some research on the long history of gnarly dudes in tennis? Only tough guys feel the need to stand on a hot tennis court for hours on end while trying to beat something to death while it flies at their face going up to one hundred and forty miles per hour. If there is one thing that Beardilizer is known for after our stellar products it’s having a team of representatives who always give us something to talk about.